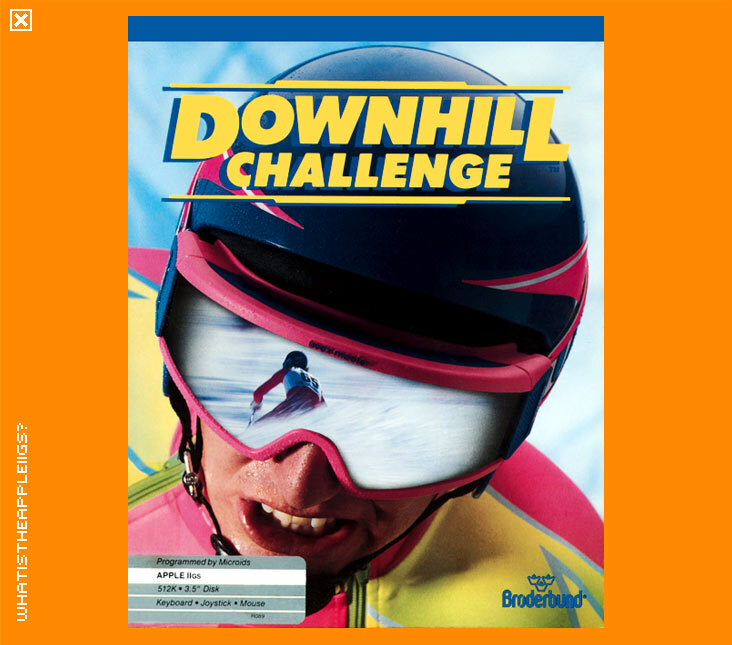 Downhill Challenge was released by Broderbund in 1989. Now, the only time I ever went skiing was when I was aged 7, and didn't know much about it and still don't. Not that that's particularly relevant, because I feel I know what makes a good computer game and Downhill Challenge, isn't one of my favourites. Broderbund is a company that, over time, began to annoy me; they released some of the very best 8-bit Apple II games such as Karateka, Captain Goodnight, Wings of Fury and Airheart and it was an exciting prospect to see the same quality written into 16-bit IIGS games. It never happened. Instead, we got the likes of Downhill Challenge. No exceptional feat of programming, the game doesn't even feel like it was finished and the graphics are somewhat irritating (each screen is saturated with blue whichm unexplainedly, give me head spins). The game came on two disks, one was simply a startup disk, the second containing the actual game. This in itself bugs me, because a) it had an odd joystick driver which was a System driver found on the startup disk, however it does not work when placed into a GS/OS System. And b) why the hell would the game take up an entire disk? The graphics for each of the events are the same and in between that there are barely any interceding graphics and there's no music and very little sound to fill the disk. To play, use the keypad for directional controls and open-apple to slow down. Why beat the clock and high scores? There doesn't seem like there's much incentive to do well, as the player isn't rewarded for your efforts. For some bizarre reason, InCider/A+ gave a rave review for Downhill Challenge. For such a favourable review Broderbund must have slipped something to them, whether it was cash under the table or some drug placed in the magazine staff's coffee pot. 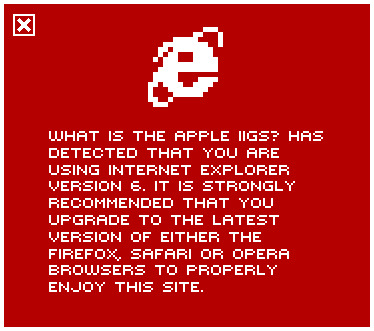 I bought this game back in the day, but there were plenty of other IIGS games out there far more deserving to be paid for than this. Still, it may well be enjoyed by countless masses, so it's available for all to enjoy if you can.